Managerial efficiency is one of the most overlooked areas where technology can play a role. Amit Das, director – human resources, Bennett, Coleman & Co., brings out the key aspects in BCCL’s progress on the digital journey. With corporate enterprises at a digital crossroads today, Bennett, Coleman & Co (BCCL) started progressing on the digital journey to create an enabling people agenda supported by state-of-art technology. Responsible for the overall human capital management of BCCL, India’s most diversified media conglomerate, is Amit Das, director of HR, who shares: “The ability to digitally reimagine the business is also determined by a coherent and clear digital strategy, supported by leaders who foster a culture and an ability to adopt and drive the change. The journey required BCCL to audit of all its people processes and look for areas where technology could positively impact the employee experience. The search was on for the right HR technology platform that would reduce the time and effort of HR to manage repetitive transactional activities and enhance HR’s bandwidth to manage more strategic deliverables up the value chain. 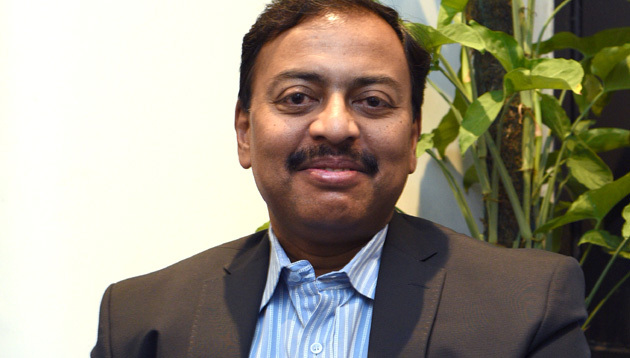 “We partnered with the IT function to choose the right intuitive technology for high adoption, identified internal evangelists for accelerated buy-in, helped employees understand what was in it for them, and customised training and highlighted quick wins for adopting the new technology,” he says. During the journey, we realised that all cloud platforms come with a certain standard set of functionalities, which have limitations in terms of configurability. After an exhaustive search, a vendor was identified, offering a cloud-based integrated talent management product, which best suited BCCL’s requirements, by providing a user experience and analytics features, ease of integration with the existing HR system, and scalability to seamlessly transit to a mobile-based platform. This vendor helped BCCL deploy important people processes such as recruitment, L&D, compensation, and more. Further, he affirms the seamless technology unification across the employee life cycle has improved the employee experience, while for decision makers, easy access to the integrated data has led to actionable intelligence and more informed decisions. “However, during the journey, we realised that all cloud platforms come with a certain standard set of functionalities, which have limitations in terms of configurability. Hence, we leveraged this opportunity to re-look at our processes and re-engineered them as appropriate in order to achieve successful implementation,” he says. With the successful launch of the platform, BCCL has internalised its mobile-first strategy. The integrated talent management platform has been made accessible to all employees on the move. A hyper-personalised and customised learning app has also been launched to cater to the unique needs of high-potential employees, aligned to their career aspirations.